Measuring 30x40cm by 5cm high, this impressive tray is smooth at the bottom and is heavyweight so it won't move about when you are painting. Much better than metal coated tray palettes this is made to professional standards. 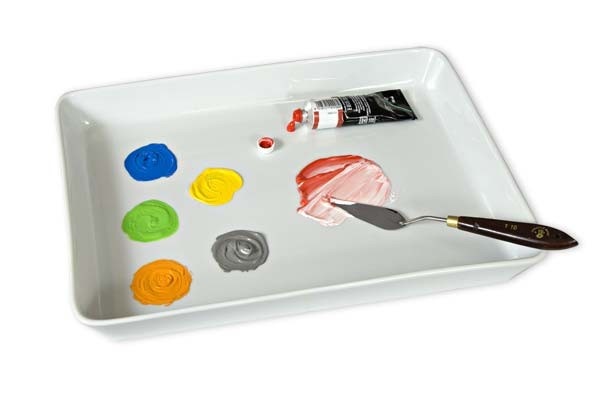 Use it for virtually any media from watercolours to oil colours. Use in conjunction with the Sectional Porcelain Palette for a complete palette system.